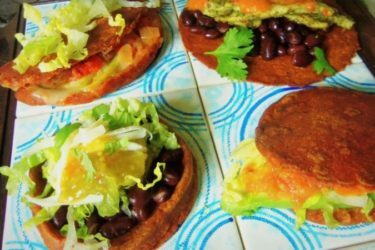 Can't decide what kind of tortilla to serve for tacos? Why not serve both! 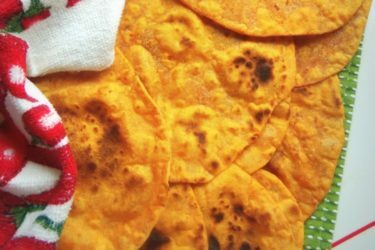 This easy recipe is both a flour and corn tortilla all in one! If you can't decide which tortillas you like the best, now you can have both flour and corn all in one! I experimented with this recipe a while back and finally came up with a formula that worked. 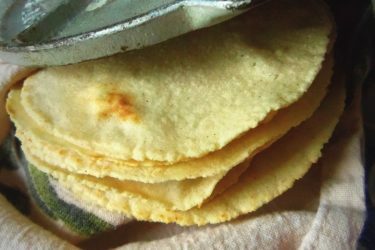 I enjoy the flavor of corn tortillas, but I love the flexibility of the flour varieties. This easy recipe gives you the best of both! Melt the shortening. Add the warm water to the melted shortening. Gradually mix the dry ingredients into the wet ingredients until dough forms. Transfer the dough to a flat surface and knead for a few minutes. It should feel moist and slightly tacky. If it feels dry, work in a little more water, 1 tablespoon at a time. Divide dough into 16 equal dough balls and transfer to a plastic storage bag. Let sit for 20 minutes. Preheat comal or griddle pan to medium heat for 5 minutes. Before rolling out the dough ball, roll it in the palm of your hands and flatten slightly. Place on a lightly floured flat work surface, and roll out to about 5 inches. Flip and turn as needed using minimal flour to roll out. The more flour you add, the less fluffy the tortilla will be. Cook on hot surface for 1-2 minutes, turning after tortilla begins to bubble up and inflate. You should have medium to dark brown spots on the tortillas. If they are too black, adjust the heat to a slightly lower temperature. Transfer cooked tortillas to a tortilla warmer or a covered pot lined with a kitchen towel. The steam created will yield an extra soft tortilla. Cool tortillas completely before storing in a plastic storage bag. 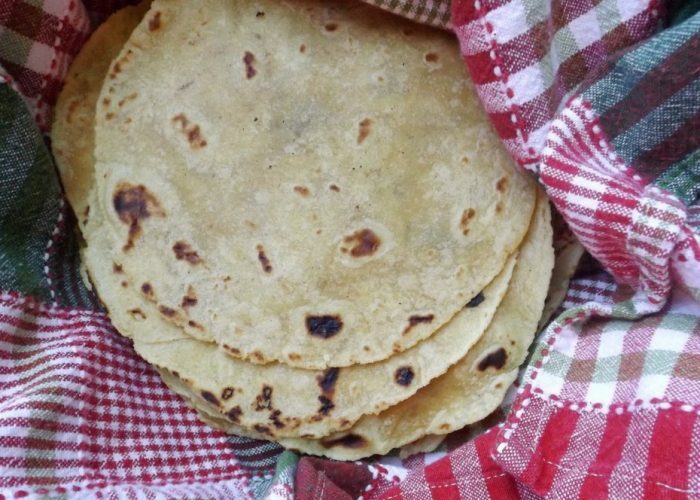 Freshly made tortillas can be stored at room temperature for 2 days. After that they can be refrigerated for a week. 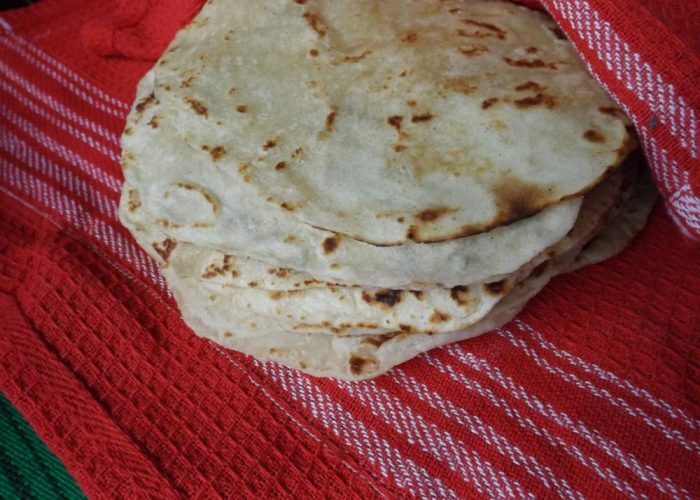 The older the tortillas get, the more dried out they will become.